Our marriage communication help teaches you how to talk about the things that hurt without there beingfight. 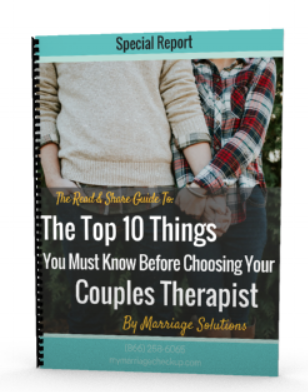 Marriage counseling will help you learn the tools you need to successfully repair your marriage. Maybe You Just Don't Feel Close and The More You Try to Reach for Your Partner the Further You Seem to Feel. At Marriage Solutions, we have locations in Tulsa and OKC so no matter where you live, you can find the help that you need. You walk on egg shells trying not to start another fight. But it's inevitable. All you have to do is make one wrong move and it's off to the doghouse for you buddy. You can't even mention the smallest thing without everything spiraling down into years of failings. You know it's not their fault they've been hurt. And yes, you know, that you've contributed to much of the pain. But now you want to know how to fix it. You want to know how you can make things better and not have to live with regret and shame for the rest of your life. You just want to know how to talk about the things that hurt without there being a wild west showdown. You probably even recognize the destructive patterns in your relationship like, attacking your partner with criticism. You know it's so destructive, because it creates more emotional distance between you. When you have something you need or want, you know you need to bring it up in a gentle way without attacking your partner's personality or character, but you don't know how. You hear all the time that addressing topics with "I" or "we" is much more effective than "you" but in the heat of the moment you just don't know what to do. When things get too heated your 20-30 minute break to calm down, leads to a day, or a week, and then it seems that the problem dissapears...until it doesn't...and you're right back in the same argument reliving the past. You know that this emotional distance between you is created by all the fighting and avoiding. You know if you don't get help the inevitible divorce or unhappy marriage is your destiny. You believe marriage counseling will help you learn the tools you need to successfully repair your marriage. 3. Check your email for extra helpful tools! We have two locations, one in Tulsa and one in OKC, and serve a number of surrounding areas.